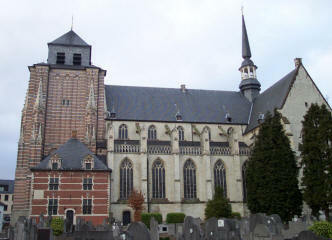 Day 1, Thursday (August 11): Angel arrives two hours late in Herentals, she missed her plane in the morning. Luckily the internet connection on the airport worked properly, so she could warn us. And glad I checked facebook before we left to pick her up. We visited the St. Dimpna Church in the afternoon. I tried to translate as much as I could from the, Dutch, little guidebook, but since I can’t say I use religious related terms in English (or in Dutch for that matter) a lot, it was a bit too difficult. Day 2, Friday: We went to Brussels, the capital can not be neglected when you visit Belgium of course. We took a b-dagtrip (combo-ticket train plus tourist attractions). We had some difficulties with finding the Musical instruments Museum and the Museum of Fine Arts. The Mim was really interesting, at the entrance you receive a headphone which you can plug in little black boxes that are installed next to the show cases with instruments. You can listen to a short piece of music played with every instrument. If you want to hear them all, I’m sure you can spend an entire afternoon in the museum. Since we arrived late in the morning, it is no surprise we skipped some instruments when we noticed the time and the growling of our stomach, haha. After lunch we went to the Royal Museums of Fine Arts, more specifically the Museum of Ancient Art. It houses an extensive collection of paintings, sculptures and drawings from the 15th to the 18th century. When we left the museum, we went for a short walk through Brussels. 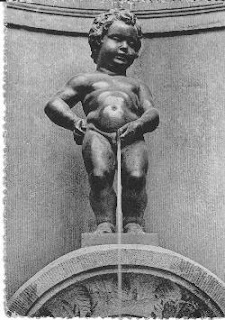 We took a look at the ‘Grote Markt’ and ‘Manneken Pis’. 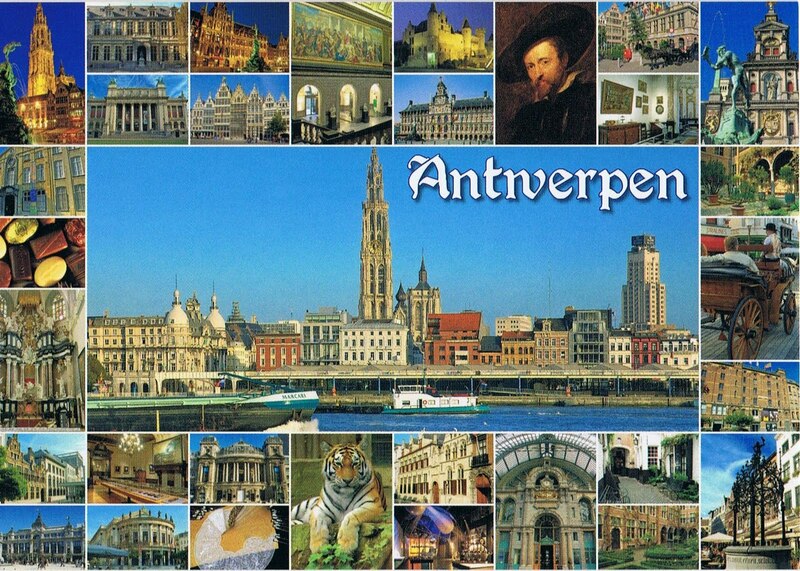 Of course we also bought postcards for Postcrossing and private collections. Day 3, Saturday: The weather was too bad to do something, we slept the whole afternoon, haha. Day 4, Sunday: We spent the afternoon watching movies about ‘Sissi’ with Romy Schneider. Day 5, 15th of August, holiday Assumption of Mary: Because this is an official public holiday, everything was closed. But the weather was nice so we went out to look around the area. We went to Herentals, where we walked around in the park from the little castle ‘Le Paige’ and also walked to the ‘Begijnhof’ (Béguinage). 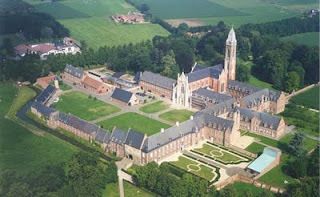 Then we went to the ‘Abdij van Tongerlo’(Abbey of Tongerlo). We were lucky, the bookshop there was open, so we could buy, again, postcards and some sweets from a local bakery. Day 6, Tuesday: We visited Bokrijk, an open air museum in which you go back to 1911, you can visit houses and see craft trades. In some houses people (actors) live the way they would in 1911 as well. You can hear the farmer’s wife tell the maid what to do, you can listen to the pastor’s sermon, etc. Day 7, Wednesday: Unfortunately, I had an appointment in the afternoon so I couldn’t go anywhere. During the time I was out, Angel went on her own on a walk through Geel. We gave her a little guidebook with a map on which the walk was pointed out. Since she managed to get home safely, I guess I can recommend it to everyone, haha. 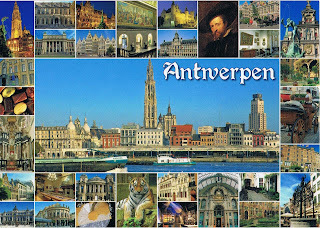 Day 8, Thursday: Time to go to Antwerp, my favourite city in Belgium. Before lunch we went to some (museum)shops to buy cards. We had our lunch at Désiré de Lille, if you have a sweet tooth this is the place to be. Angel impressed me with how much she could eat! In the afternoon we went to the MAS (I already took a pen-friend to this museum), because the Museum of Fine Arts is closed for renovations. Day 9, Friday: When we entered the train station, the man behind the counter said:‘Hey there they are again, where are you going this time?’(It was the 4th time that week he saw us, haha). 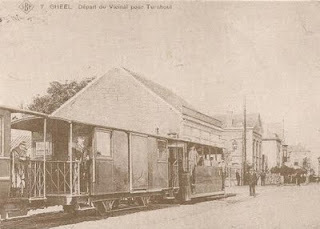 This time the train took us to Gent, where we visited, can you guess? 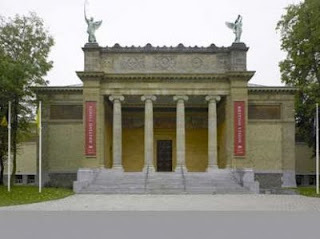 The Museum of fine arts! It was clear by then that Angel and I have the same taste when it comes to art, the younger the paintings, the faster we walked, haha. We had some time left before we had to take the train back home, so I wanted to check out the toy store I noticed when we walked to the museum. When we took a closer look we suddenly saw they were selling postcards! It were beautiful postcards with illustrations from children’s books, irresistible of course! Day 10, Saturday (August 20): The 7h 11 am train in Herentals took Angel to the airport. It felt like yesterday we picked her up.